Quality molded black plastic rings angle gauges toward driver for optimum viewing. Requires mounting bracket modification. Auto Meter Universal Gauge Mounting Solutions offer a endless possibility of gauge mounting, anywhere you see fit. Auto Meter's universal mounting cups, pods and panels mount any Auto Meter gauge with ease and style; inside the vehicle, outside the vehicle, upside down or sideways. 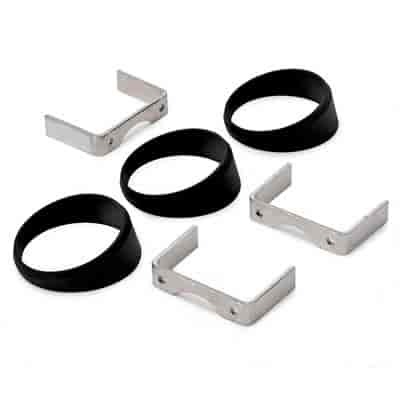 These mounting solutions are made of high-quality materials and are well-suited for any street or strip vehicle. 2234 is rated 5.0 out of 5 by 2.